Habana Joe's is so excited to be bringing you a night of soaking wet fun. 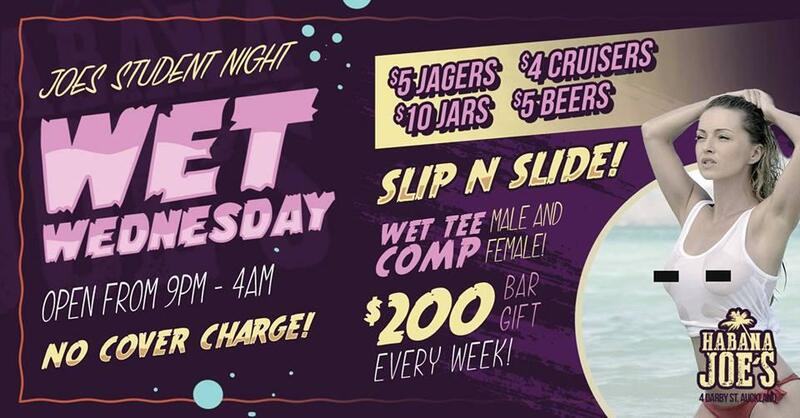 Come and get Wet with us on the slip 'n' slide for a night you will never forget and enjoy crazy bar games at the loosest bar in Auckland. Arrive before 10pm and get a free bar gift on entry. You'd be mad not too, we'll see you in the paddling pool.